The property is located on Maylord Street, close to High Town, and is pedestrianised giving access to the Maylord Shopping Centre. The property is in a good retail area with a mixture of local and national retailers. The property comprises a shop on the ground floor, office on the first floor and a flat on the second floor. Each of the upper floors have their own entrances/staircases from street level. The upper parts benefited from a planning consent for 4 residential flats. See Planning Application Ref: P143495/F on the Herefordshire Council Website for details. The property is offered for Sale with vacant possession on a 999 year lease at a peppercorn rent. Price £190,000 plus VAT where applicable. Energy Performance Certificates available on request. 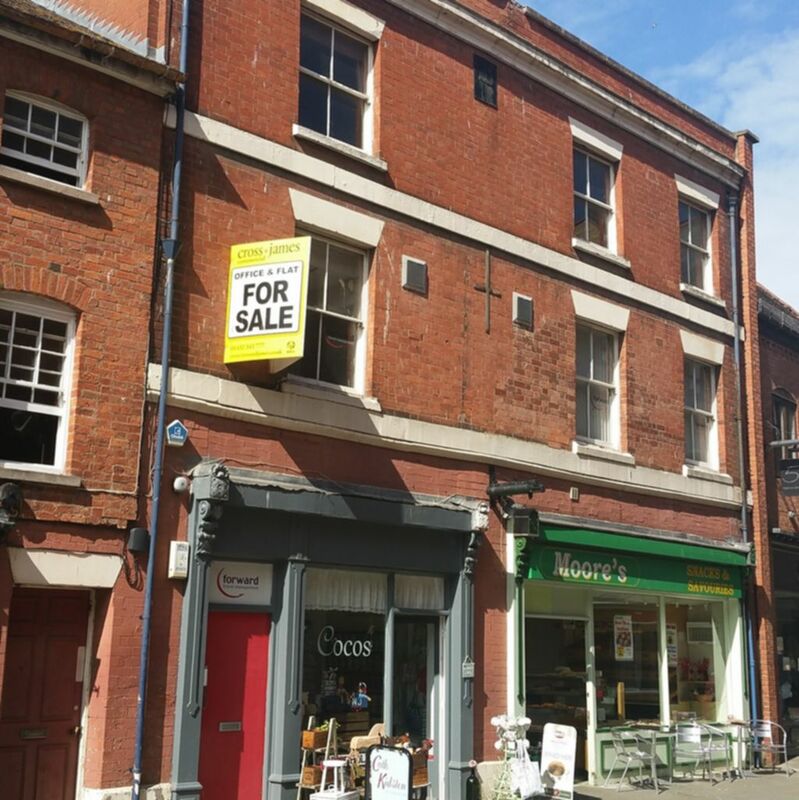 The 2017 Valuation Office Agency List shows the property having a Rateable Value for the Ground Floor Shop of £6,400 and for the First Floor Office of £6,000. The multiplier for the 2018/19 year is 48.0p in the pound. The rates payable may be subject to transitional adjustment. The occupiers may be eligible to claim Small Business Rate Relief of 100%. Prospective tenants should confirm their liability with Herefordshire Council.